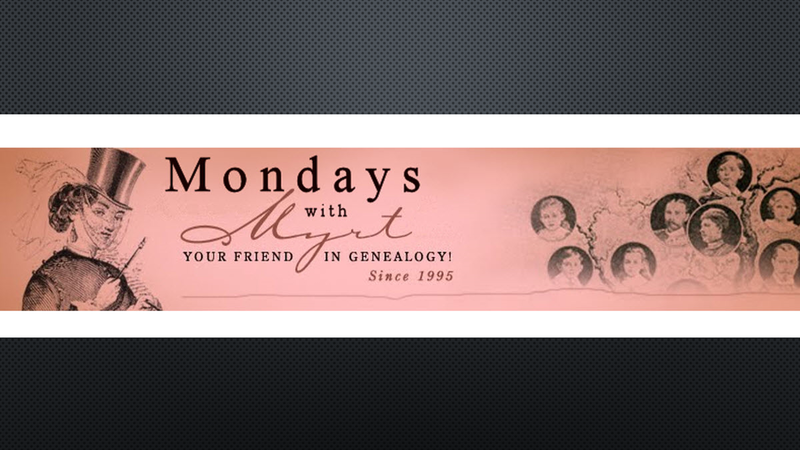 We had a full house for this edition of Mondays with Myrt. Our discussion concerned how to host DNA study groups within your local genealogy society. The usefulness of the 1939 Register (UK) came up and we discussed there is a process for having redacted lines opened with proof that an ancestor is deceased. We announced the first of our new monthly hangouts with The Archive Lady.